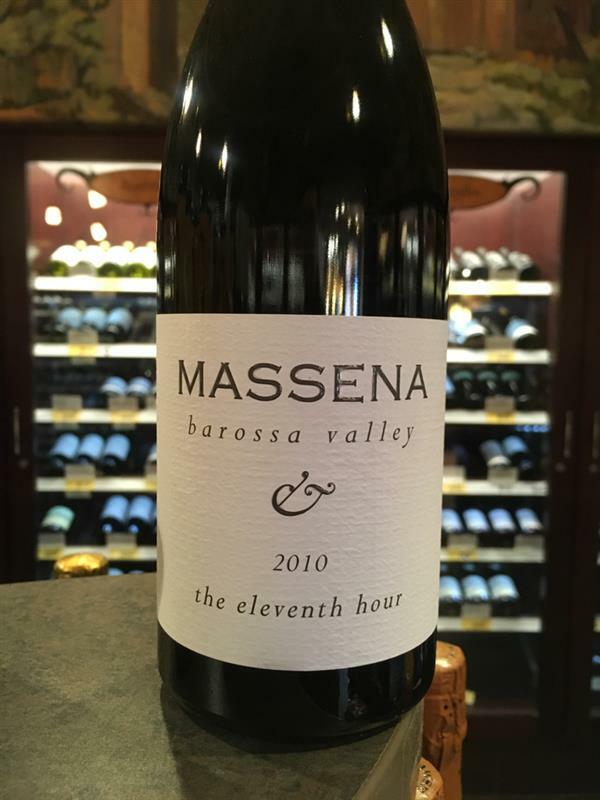 The Eleventh Hour, Massena, Australia, Shiraz | Banville & Jones Wine Co. I had the 2003 of this this weekend, and it was amazing. It was throwing a ton of sediment but with a good decant, the wine was perfect. Fresh fruit still, but with some secondary notes of coffee and earth. Some vanilla, smooth tannins, but very present still. A great effort. A re-taste of the 2010 - now in its 7th year. I have started to not cellar a lot of Australian wine, I find the fruit doesn't change that much, and so there really is not much benefit. This one could change my mind. Showing some really great earthy, meaty notes, still chewy/chunky tannins and lots of length. Drink over the next year. From 60 yr old vines saved from bulldozer, this red blend is mature, lifted, intense, raisiny, raspberry spicy and smokey, a gem.